One of my favorite novels is Jane Eyre, and I’ve probably seen every TV and movie version they’ve made over the years. I especially love the Toby Stephens-Ruth Wilson miniseries produced for Masterpiece Theatre in 2006. I watch it at least once a year (cold, rainy days are best), and I never get tired of it. 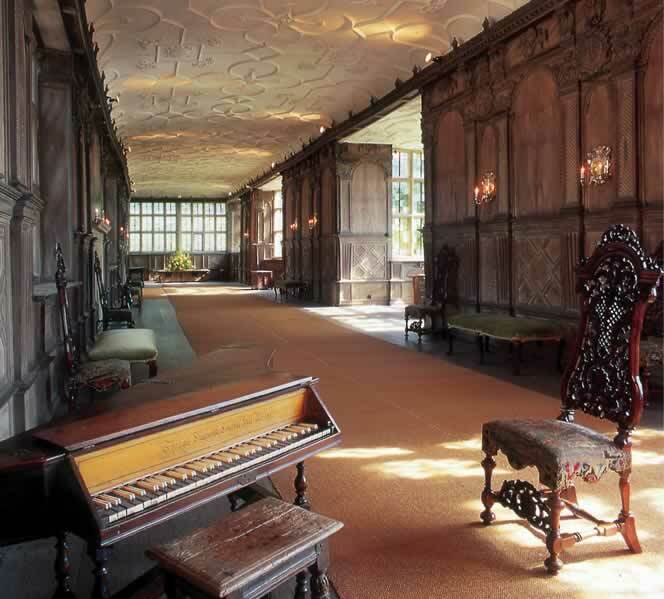 This is the “Long Gallery” in Haddon Hall, a fortified medieval manor house in Derbyshire, England. The old manor dates from the 12th Century and was used as the setting for Thornfield in the film. If it looks familiar, it’s because it’s been used in lots of other productions, including the 2005 version of Pride & Prejudice with Keira Knightley and Matthew Macfadyen, as well as for the more recent movie version of Jane Eyre with Michael Fassbender and Mia Wasikowska. Ruth Wilson was cast as Jane for this version when she was barely out of drama school. Now she stars in the Showtime series The Affair. Haddon is a magical place. The rooms are rugged and beautiful, and are made all the more so by the brilliant decoration and propping of designer Grenville Horner and his team. Our base is close by, and it’s an extremely comfortable location in which to work. Except that it is FREEZING. I wear more layers than ever before — three on my LEGS! And a coat that’s more like a duvet. And I’m still FROZEN! Heaters are no use. We line up about a dozen in the long gallery (which serves as the drawing room of Thornfield Hall) and our breath is still condensing. Brrr. Gives me new appreciation for how well Ruth Wilson and Toby Stephens managed to heat up the screen! 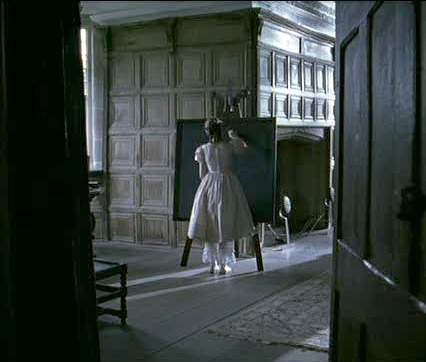 It makes me sad every time Jane returns to find Thornfield has burned down! Any other Jane Eyre fans out there? Do you have a favorite TV or movie version of the novel? Visit the Haddon Hall website for more photos and information. I am such a Masterpiece junkie. It has been a bit since I watched Jane Eyre, thanks for posting the pictures. I may have to watch it again!! Great post! I do not think I’ve seen this version so I will have to check it out!! LOL!! I was about to say I’d hate to heat one of those homes – I bet they are freezing! Lovely pictures, thanks for posting. I thought of a good movie house you could do: the mansion from Sabrina (the Harrison Ford version). That would be a neat one. It’s been a long time since I read this book; I was probably 12. I need to try it again. Regarding Haddon Hall, I’m always blown away to think of a building, a home, that’s been in existence since the 1100’s ! What amazing, and mundane, things have gone on behind those walls? Oh, I’ve never seen this version – I have to now! I’ve left you an award on my blog. Have a great Monday! I’m like Amy ~ I’ve never seen this movie before. Shame on me! I’ll definitely try to watch it sometime in the near future. theArthurClan’s last blog post..The Snowglobe Snowrock. Thingy. I LOVE that version of Jane Eyre. I wish I had it right now to watch. Haddon is so beautiful! I’ll have to check out the movie! Kim@ForeverWherever’s last blog post..Blog Party — Tasty Tuesday — Don’t Miss It! Oh, I must check out that movie! Gorgeous! I must admit, I’ve never seen this movie. I’m a bit embarrassed since it is a classic. I do love the exterior, so pretty! I am ashamed to say that I’ve never read the book, but my absolute favorite movie version is the one with Orson Welles. I think he was hot then (I know, weird). I’ve never seen this version, so I think I’ll have to. Great post! marie’s last blog post..that’sa lotta greasy meata-ball! I’ve not read the book, but I have seen a few versions of it. In fact, I saw one BBC version just last week. I forgot the names of the stars. That manor house is a freakin’ castle! It’s beautiful, but I would not have wanted to live in that time. I like all of our modern conveniences and the fact that we don’t have to wear four layers of clothing! Although, it seems they need it there. Beautiful post. I haven’t seen this version of Jane Eyre and will look for it. As for my suggestion for a future post, I don’t recall seeing you mention this one before so, if you have, sorry for being redundant: the “Practical Magic” house. Saw a bit of this movie a few nights ago and remembered that the house was almost more interesting than the story. And I remember reading about it (in Country Home or Country Living maybe?) when the movie first came out. Thanks for this fun “movie house” series! Yes,love these classic homes. Every time I see one of these beauties I think, “I was mean to live in THAT era.” Then I look around and quickly remember that my bathroom, as simple as it is, is a modern miracle! I’ll settle for the 6 hour A&E Pride and Prejudice with Collin Firth. Ahhh…. love me some good chick flicks and some yummy chocolate! I never saw that version, but will see if I can get it from Netflix! Have you been watching Masterpiece Theater this year? They just aired a two part series of Tess of d’Urbersville (you can watch it on-line) and it was REALLY good! Excellent and I love this way this post looks and reads! Love the classics. I believe Haddon Hall was also used during the filming of The Princess Bride. I’m ashamed to say that I’m not familiar at all with Jane Eyre but I’m interested now. That’s a beautiful castle. I just found your blog through twitter today. What a fun blog! I have subscribed to it! Can you believe I have never seen a movie version of JE? Now onto a more important topic. Did I see something saying that you’re going to Blissdom????? I think my head is going to explode from all of the fabulousness there! One of my favorite books and I loved this version of the movie as well. An amazing “home” but just a tad chilly – oh and you’ve got that crazy first wife cruising aroung in the dark too! Julia, I adore this post! Jane Eyre is one of my all-time favorite books, and I’ve seen every version, too. Yeah, this Rochester is pretty good – but a bit young and hot for my taste. Ciaran Hinds is my personal pick – so gruff and dreamy. 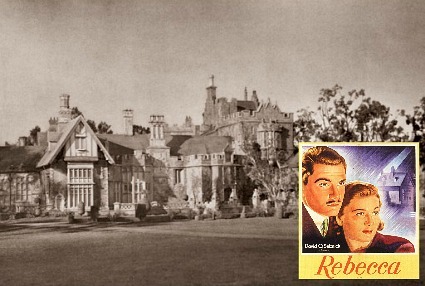 But back to the post; it’s a terrific look at the house – more homes-of-literature, please, maybe “Rebecca’s” Manderley? Great post. i need to rent the movies it’s been awhile. Thanks for the great reminder. I’ve been looking around your blog this afternoon, wow. A lot to see! So, I’ve noticed the fixture above your kitchen dining table and was wondering if you might know the model? I’m looking to replace mine and think that would work for me. Thanks! I love the ceiling in that reat hall/drawing room. I always think I want to live in a house like this back then with the gowns and manners, but then I remember the BBC documentary Manor House (now THERE’S a house!) and I think I’d rather have central heating and deoderant. One of the greatest novels ever and this screen version was amazing. I had to giggle when I read the comment above mine! I have had the same thoughts…oh to live there but oy. Now hot showers, deodorant or central heat. One film I would love to see you do is Sense and Sensibilities. I LOVE the book and the Emma Thonpson/;Kate Winslet version. So many gorgeous manor house, London townhomes and the girls an dthei Mothe lived in after their father’s death. Thank you for always providing us with such eye candy and smiles. Sue’s last blog post..Ah…I Feel So NOT Alone! I love those elaborate ceilings often found in beautiful English manors. That is so amazing! I love being able to take closer looks at houses that are in movies! Thank you for doing this!!! 🙂 If you ever do TV show houses…I LOVE Nora’s house on Brother’s and Sister’s! Look forward to the next house! I loved this movie too, by far the best adaptation! I’m absolutely obsessed with the Toby Stephens/Ruth Wilson version of Jane Eyre. What I love best about it is that Rochester is so lovable … he’s gruff, to be sure, but his tender looks when he’s gazing at Jane simply melt one’s heart. He’s a much softer Rochester who smiles a lot, and though in Bronte’s book he’s not supposed to be good looking … I prefer Toby Stephens’ handsome face. And Ruth Wilson and he have such great chemistry. Two really fine performances. ‘Scuse me … must go off and watch it again … for perhaps the umpteenth time … Honestly, for me, it never gets old. I am a period drama nut!! just like my Mam and she has come up for a visit to take care of me as I am sick right now so we are planning to watch dvd’s of period drama’s that us Brits do so well and also movies on the British monarchy throught the ages so we are going to be kicking back in our pj’s doing each other’s hair and nails and wearing face masks (yes the whole girly thing mother and daughter style to spend time together as I am married and live 3 hrs away by train and a hour on top to get to me). And I am going to get her to watch Jane Eyre Materpiece of course as I know she will love it so will have to break out the drinks and nibbles!! cannot wait.